Shiloh United Methodist Church is a growing church with a proud past. It all began with a revival meeting in 1807 at Three Springs - a spot that later became the “Village of Shiloh”. 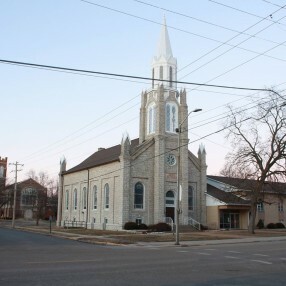 That revival gave birth to what is now Shiloh United Methodist Church - the oldest Methodist Church in Illinois. And now, more than two centuries later, Shiloh continues to be a Christ-centered church with a promising future! Here we experience indigenous contemporary worship. It is worship born out of our passion to be seeker sensitive so that all may experience God through drama, music, prayer and the preached word. We are members seeking to Impact the World for Jesus. 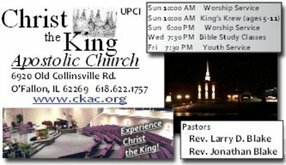 We invite you to join us for Sunday Worship at 8:30AM and 11:00AM and any of our upcoming ministry events. We are just 5 minutes outside the Shiloh gate of Scott Air Force Base. We offer Sunday school for all ages, weekly Bible Studies, small groups, youth groups, Three Springs Preschool and so much more! 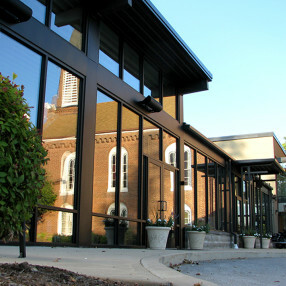 If you would like more information about Shiloh UMC, you can find us online at www.shiloh-umc.org or contact us at 618.632.6913. Relevant, biblical teaching and engaging worship are essential elements of the indigenous contemporary worship services at Shiloh UMC. A variety of activities and events make it compelling and simple for individuals of all ages to get connected. Our worship services are typically under 75 minutes and feature inspirational messages that speak to real life issues. 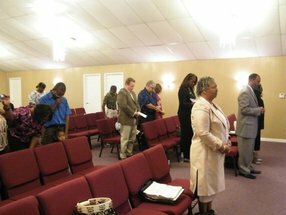 Prayer warriors and Stephen Ministry members are available at the Prayer Wall (located at the far end of the Worship Center near the windows) immediately following 8:30AM & 11:00AM services, for anyone requiring intercessory prayer for physical, emotional and spiritual healing. Prayer request cards are also available. At the end of service, we would love to greet you at the Welcome Center. If you are a first or second time guest, we have a gift for you! Join us at the Welcome Center in the Gathering Area to receive your gift and to learn more about Shiloh UMC.